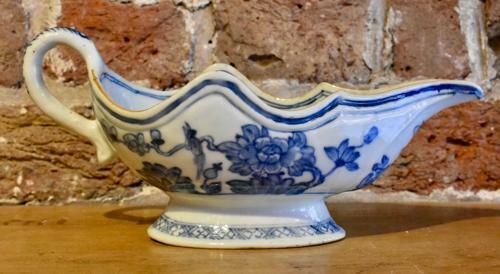 A fine quality, 18th century, Chinese export, blue and white porcelain sauceboat of silver shape. The piece is finely painted to the inner and outer body with floral scenes and remains in excellent condition. Qianlong period. Circa 1760.